CLICKS is guided by the sound leadership of an international advisory board that play an active role in providing sound advice and mentorship which help shape and continuously grow the Center’s vision and support the achievement of its strategic goals. Dr.Sultan Abu Orabi, is an organic chemist, who obtained his P.hD from the University of Michigan, USA in 1982. Currently he is the Secretary General of the Association of Arab Universities since 2011, which has its headquarters in Amman, Jordan. 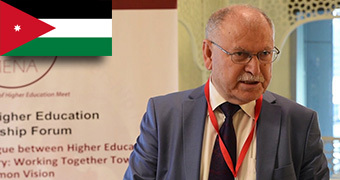 Prof.Abu Orabi previously served as President of Yarmouk University (2009-2011), Jordan’s second largest public university, President of Irbid National University (2001-2005), and Tafila Technical University in Jordan (2005-2009). He was also President of the Jordanian Chemical Society and President of the Arab Union of Chemists. He was a visiting Professor at Bahrain University (1989-1990) and at King Fahd University for Petroleum and Minerals, Saudi Arabia (1990-1993 & 1996-1998). Dr. Abu Orabi is an Editor-in-chief of two international journals, and is a member of many editorial boards. He has as well organized, served on advisory boards, and presented lectures at numerous international conferences. He has also received several research fellowships and awards, and published over eighty papers throughout his career spanning thirty five years. Supervised and served on examining dissertations for more than seventy M.Sc and Ph.D students in Jordan, Arab World, India and Europe. Dr. Larry Johnson is a globally acknowledged expert on emerging technology and its impacts on society and education, and author of five books, seven chapters, and more than 175 papers and research reports on the topic. 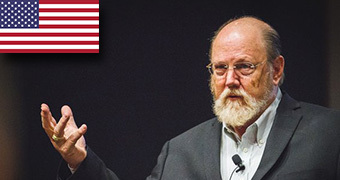 He speaks regularly on educational trends, creativity, leadership, and innovation, and has delivered nearly 225 keynote addresses to a long list of distinguished groups and organizations all over the world. As the CEO of the New Media Consortium (NMC), he founded the acclaimed Horizon Project and directed it for 15 years. He is widely considered a visionary, and was named in 2015 as one of the "Top 50 Influencers of Education in the Asia/Pacific Region." His work on educational technology futures has been used in nearly 200 countries. For more than 20 years, Johnson has convened thought leaders from across the globe to define and explore emerging trends and issues. Summits and large-scale projects that he has planned have helped set the agenda for topics such as visual literacy, learning objects, educational gaming, immersive learning, the future of scholarship, and social networking. Having served as CEO, president and senior executive at institutions in both the higher education and not-for-profit realms, he has more than 30 years of significantly relevant experience in the global education arena, and has served in campus roles from professor to dean, CIO to provost, president, and CEO. 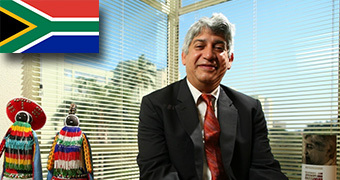 Ahmed Bawa, a theoretical physicist, leads Universities South Africa. Until 30 April 2016 he was Vice-Chancellor and Principal of Durban University of Technology and before that spent several years as a faculty member of the Department of Physics and Astronomy at Hunter College and a member of the doctoral faculty at the Graduate Center, City University of New York. He served as the Program Officer for Higher Education in Africa with the Ford Foundation and during this time led and coordinated the Foundation’s African Higher Education Initiative. Ahmed Bawa holds a Ph.D. in Theoretical Physics from the University of Durham in the UK. He served on a number of policy development teams in the post-1994 period in the areas of Science and Technology and Higher Education. He is Fellow of the Royal Society of South Africa as well as the Academy of Science of South Africa of which he was one of the inaugural vice-presidents and is a current Council member. He also served as Chair of the Board of the Foundation for Research Development, and was Vice-Chair of the board of the Atomic Energy Corporation. After a long career as university professor and as researcher in electrical engineering from 1985 to 1996 in France then in Lebanon beginning 1996, where he worked in addition as councilor of the MVTE and as expert of curricula development at CRDP and with UNESCO office in Beirut. He was nominated as DG of HE in Lebanon in 2002. Since that date he was responsible of the private HE sector. He worked on the Management of HE System, and the Development of strategic policy in HE, the Development of regulations in HE, and the development of internal & external QA procedures and indicators in HEIs. Dr. Aboul-Ela earned his B.Sc. and M.Sc. in Agriculture from Cairo University, and his Ph.D. in Animal Physiology from the University of Aberdeen, UK, in 1980. He held several academic administrative positions at Mansoura University and UAE University, among which being a Chair, Director of Graduate Studies, and Dean. As a researcher, he published a total of 107 articles in refereed journals. He won several research prizes and awards including National Prize for Research, Egypt, 1978; Abdel-Hamid Showman's Prize, 1988; and Presidential Distinction Medal, for Excellence in Research, 1994. He was one of the founding members of the Commission for Academic Accreditation (CAA), in the UAE when established in 2000, and was appointed as its Director in February 2007. He had a leading role in developing its Standards for Licensure and Accreditation, Standards for Licensure and Accreditation of Technical and Vocational Education & Training, and the e-Learning Standards for Licensure and Accreditation. He also led the CAA’s effort to receive INQAAHE’s recognition as an agency which is comprehensively in compliance with INQAAHE’s GGP, granted to the CAA in 2011. Dr. Aboul-Ela had significant and leading role in establishing the Arab Network for Quality Assurance in Higher Education (ANQAHE), and has been elected as its President in May 2016, following being its Vice-President for six years. In April 2011, Dr Aboul-Ela was elected as a Board Director for the International Network for Quality Assurance in Higher Education (INQAAHE). During his term as INQAAHE Board Director, he participated in various subcommittees of the Board. 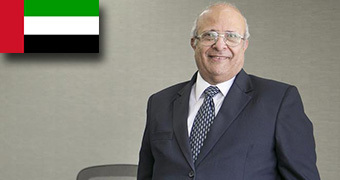 In 2010, he was appointed as a board member of the QA Council for the Association of Arab Universities. In January 2012, Dr Aboul-Ela was appointed as Board member of the newly established National Qualification Authority in the UAE. Through his work with ANQAHE, Dr. Aboul-Ela provided consultation to newly established, or to-be-established national Quality Assurance Agencies in four Arab countries. Namely, he was member of the International Panel for reviewing the Standards for Accreditation developed by the national QA/Accreditation in Saudi Arabia, Qatar, Libya, and Oman. Dr. Aboul-Ela participated in many activities conducted by international organizations such as UNESCO, ISCESCO, and CHEA. In December 2015, Dr Aboul-Ela was selected to be a member of the International Advisory Council of the Council for Higher Education Accreditation (CHEA) in the United States of America. Dr Aboul-Ela participated in numerous institutional and program accreditation review teams in the UAE, Oman, Saudi Arabia and Bahrain. In addition, he supervised both institutional and program accreditation of numerous universities and programs in the UAE. He has been invited as keynote speaker on quality assurance issues at many regional and international conferences, and led many workshops for universities in the Arab region. 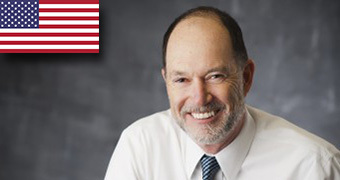 An accomplished speaker, leader, and educator, Kevin Kruger joined NASPA as Associate Executive Director in 1994, and became its first executive-level President on March 15, 2012. In his capacity as a national advocate for students and the primary spokesperson for student affairs administrators and practitioners, he draws on more than 30 years of experience in higher education. Prior to NASPA, Dr. Kruger worked for 15 years at the University of Maryland College Park and the University of Maryland Baltimore County. During his tenure at the University of Maryland he worked in orientation, student activities, leadership development, admissions, and with the vice president for student affairs office. Dr. Kruger has also served as an adjunct faculty member in the Student Development in Higher Education program at Trinity College in Washington, DC. Dr. Kruger represents NASPA in national forums such as the Washington Higher Education Secretariat, which includes the leaders of approximately 50 higher education associations. While at NASPA, he has pursued a number of initiatives designed to enhance the association's role in public policy, research, professional development, and student learning and assessment, with a particular interest in the use of technology in serving diverse student populations. Dr. Kruger has published and presented nationally on leadership development, using technology in student affairs administration, international education and is a regular lecturer on technology in student affairs, change management and future trends in higher education. He is the editor of two Jossey-Bass publications, Technology Innovations in Student Services and Using Technology to Promote Student Learning. He also has chapters in The Handbook of Student Affairs Administration; Understanding the Role of Academic and Student Affairs Collaboration in Creating a Successful Learning Environment; Beyond Borders: How International Developments are Changing Student Affairs Practice; and Involving Commuter Students in Learning. Kathleen S. Ives, D.M. has worked in online technology for over 20 years and is currently the Online Learning Consortium's Chief Executive Officer and Executive Director where she oversees the organization's strategic direction. Additionally, she serves as faculty for the Institute for Emerging Leadership in Online Learning (sponsored by Penn State and OLC), and serves on the EdSurge Advisory Group, the Executive Strategic Council for IMS Global Learning Consortium and on the Leadership Advisory Board for the Center for Learning Innovations & Customized Knowledge Solutions (CLICKS). Formerly, Dr. Ives oversaw all forms of alternative instruction at Quinsigamond Community College in Worcester, MA (distance learning, accelerated programming). She serves as adjunct faculty for graduate and undergraduate business programs at Wentworth Institute of Technology in Boston. 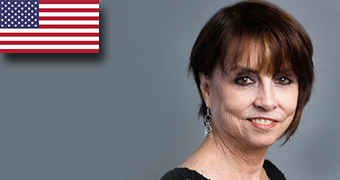 Dr. Ives began her career at CBS and helped to develop the service that evolved into Prodigy. She then spent fourteen years designing and implementing consumer online information services, first at AT&T and then at Verizon where she spearheaded the development of the nation's first online Yellow Pages product, now called superpages.com. Dr. Ives has degrees in communication, communication management, and organizational leadership from the University of California at Davis, the University of Southern California, Annenberg School of Communication, and the University of Phoenix-Online, respectively. 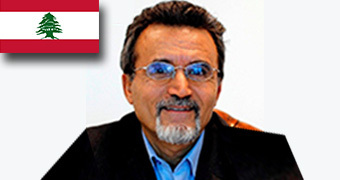 He is internationally recognized and highly cited academic and expert in higher education and science as well as international relations, in particular policy development, policy and practices related to quality assurance, governance and management at the system and institutional level [h-index 24, i10-index 23], international governmental organizations. 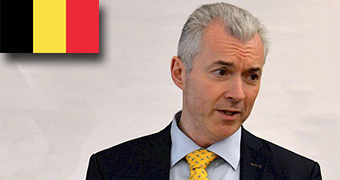 In the past 30 years he has been involved in senior-level policy advice to international governmental [UNESCO, The World Bank, OECD, the Council of Europe] and non-governmental organizations, governments and higher education institutions in a number of countries in Europe, Asia, Africa, North America and Arab Region. He was directly involved in the policy formation for the Bologna Process [in the years 2000-2009]. He has an extensive record of being a member of the governing boards, scientific councils of various academic bodies and organizations. In the period September 2009 – January 2011, he has been Professor and Vice-rector at the University of Social Sciences and Humanities/SWPS in Warsaw, Poland. From October 1999 to July 2009, he has been Director of UNESCO-European Centre for Higher Education (UNESCO-CEPES) and Representative of UNESCO in Romania. Prior to this position he was Chief of Section for Higher Education Policy at UNESCO, Paris [1992 – 1999]. Jan Sadlak was awarded several high-level national and academic distinctions, among them eight honorary doctorates(Doctor honoris causa) from leading universities. He is Member Correspondent of the European Academy of Arts, Sciences and Humanities – Academia Europensis, France, Fellow of the World Academy of Art and Science, USA, and Honorary Memberof the National Academy of Sciences of Kazakhstan. He holds PhD in Educational Administration and Comparative Education from the SUNY/ University of Buffalo, USA, and MA in Economics from the University of Economics in Wrocław, Poland. Since July 2009, Kurt is the Secretary-General of the League of European Research Universities (LERU, www.leru.org), an association of twenty-three leading comprehensive and research-intensive universities, promoting the interests of frontier research, innovation and education with the EU institutions. For his "exemplary leadership of LERU", he is awarded a doctorate honoris causa by the University of Edinburgh on 6 July 2017. Before joining LERU, he was the chief legal advisor (2004-2007) and the chief of staff (2007-2009) of the Flemish Minister for Public Works, Energy, Environment and Nature. He is still a full professor of Environment, Energy, Climate and Construction Law (however on parttime leave since 2007) at the University of Leuven, the university where he studied law (1984-1989), obtained his PhD in Law (1989-1995) and spent (until now) his whole academic career. Furthermore, he is an honorary professor of law at the University of Malta and the University of Dundee, was awarded the Hou-De Honorary Chair at the National Tsing Hua University in Taiwan, and has been a visiting professor of law at the Universities of London, Sydney, Singapore, Keio and Chuo. Francisco Marmolejo is the World Bank’s Lead of its Global Solutions Group on Tertiary Education, and since July 2016 he also serves as the Lead Education Specialist for India, based in Delhi. 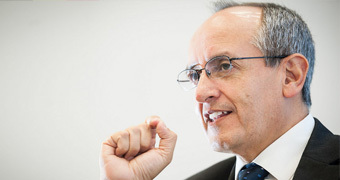 In his capacity as the World Bank’s most senior official in tertiary education, he serves as the institutional focal point on the topic of tertiary education (also known as higher education in several countries), and provides advice and support to country-level related projects that the Bank has in more than 60 countries. As part of his activities, he coordinates the Bank’s internal thematic group on tertiary education, which helps to facilitate exchange of ideas among the more than 100 staff members and consultants involved in related initiatives across the globe. In India he provides technical expertise on a variety of educational projects ranging from early childhood to tertiary education. One of the Bank’s initiatives in which he serves as Task Team Leader is the University Governance and Management Project under which more than 200 higher education institutions from 8 countries in the MENA region participate.Previously, he served as founding Executive Director of the Consortium for North American Higher Education Collaboration, a network of more than 160 tertiary education institutions primarily from Canada, the U.S. and Mexico, based at the University of Arizona (UA), where he also worked as Assistant Vice President. At UA, he was Affiliated Researcher at the Center for the Study of Higher Education, and Affiliate Faculty at the Center for Latin American Studies. 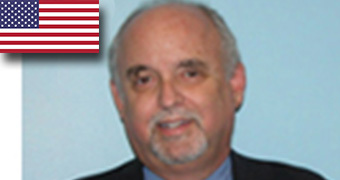 Previously, he was an American Council on Education (ACE) Fellow at the University of Massachusetts, and also he has been Vice President for Administration and Academic Vice President at the University of the Americas in Mexico.He has worked as International Consultant at the Organization for Economic Cooperation and Development (OECD) in Paris, France, and has been part of OECD and World Bank peer review higher education teams in Europe, Latin America, the Middle East, Africa and Asia. 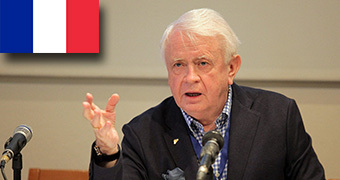 He serves or has served on advisory boards and committees at a variety of universities and organizations, including the International Association of Universities, the American Council on Education’s Commission on International Initiatives, NAFSA, World Education Services, the Lumina Foundation for Education, and the Centre for Internationalisation of Higher Education at UNICATT-Milan. Professor Asha Singh Kanwar, one of the world’s leading advocates of learning for sustainable development, is the President and Chief Executive Officer of the Commonwealth of Learning (COL). 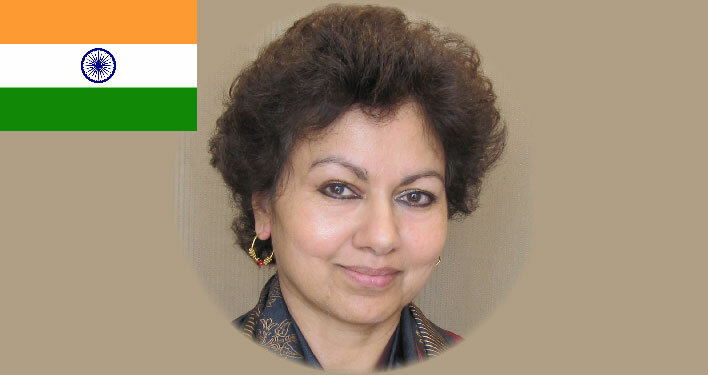 Prior to joining COL, Professor Kanwar served briefly at UNESCO's Regional Office for Education in Africa where she came after a distinguished career at the Indira Gandhi National Open University, India. Professor Kanwar has over 35 years of experience in teaching, research and administration. She has written, edited a dozen books and published numerous papers and articles. Her speeches and presentations are available at www.col.org. A recipient of several awards and fellowships, Professor Kanwar received the International Council for Open and Distance Education (ICDE) Prize of Excellence and the Meritorious Service Award for outstanding contributions in open and distance education from the Asian Association of Open Universities. She has been conferred six honorary doctorates: from the Vardhman Mahaveer Open University, KK Handiqui State Open University, India; the Open University, UK; the Open University of Sri Lanka; University of Swaziland and Wawasan Open University, Malaysia. Previously, she served as founding Executive Director of the Consortium for North American Higher Education Collaboration, a network of more than 160 tertiary education institutions primarily from Canada, the U.S. and Mexico, based at the University of Arizona (UA), where she also worked as Assistant Vice President. At UA, he was Affiliated Researcher at the Center for the Study of Higher Education, and Affiliate Faculty at the Center for Latin American Studies. Previously, she was an American Council on Education (ACE) Fellow at the University of Massachusetts, and also she has been Vice President for Administration and Academic Vice President at the University of the Americas in Mexico. She has worked as International Consultant at the Organization for Economic Cooperation and Development (OECD) in Paris, France, and has been part of OECD and World Bank peer review higher education teams in Europe, Latin America, the Middle East, Africa and Asia. She serves or has served on advisory boards and committees at a variety of universities and organizations, including the International Association of Universities, the American Council on Education’s Commission on International Initiatives, NAFSA, World Education Services, the Lumina Foundation for Education, and the Centre for Internationalisation of Higher Education at UNICATT-Milan.